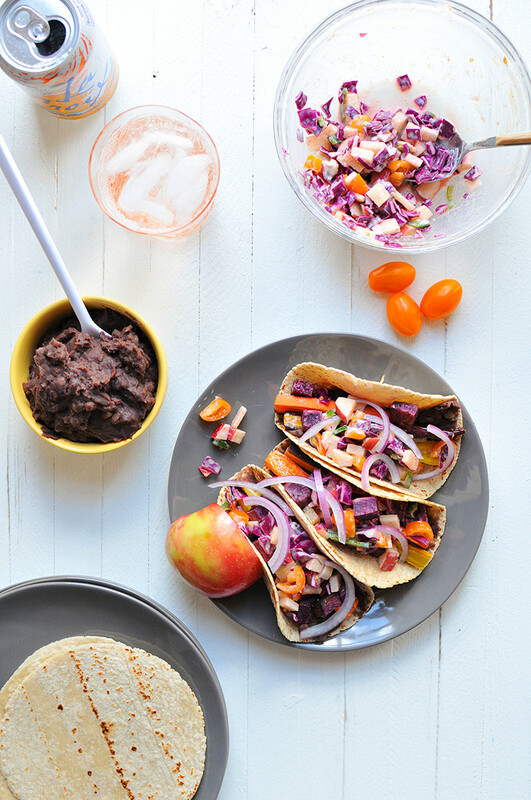 These roasted carrot and black bean tacos are a colorful, vegetarian twist on your standard taco. And that apple slaw topping is just perfect for fall! 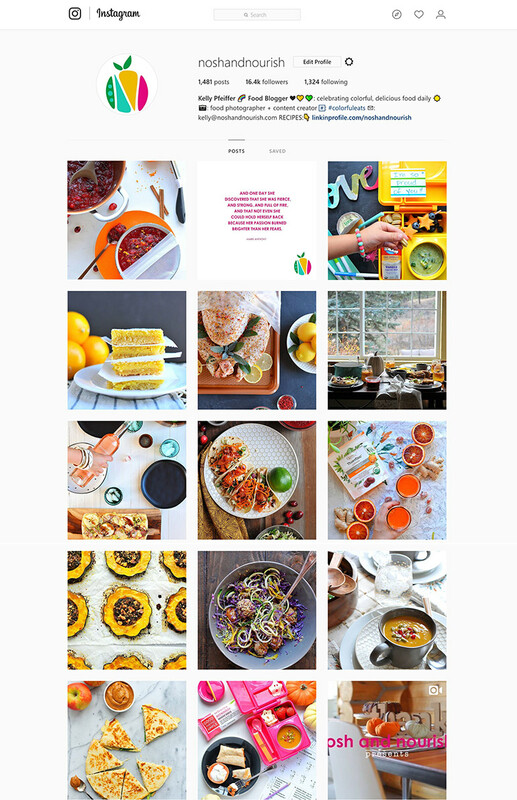 I LOVE celebrating colorful, delicious food (helllllllllllllo, tagline!). And sometimes it's just a matter of your choice at the grocery store. I could have just picked a regular orange sweet potato. But instead, I opted for the beautiful purple ones! I could have just picked regular orange carrots. But why do that when rainbow carrots exist?!?! See what I mean? Adding color is easy. You know what else is coloful? I just love how coloful, and nourishing, and satisfying they are! And veggie-packed. 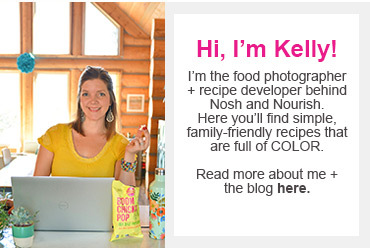 * I set up in front of my french doors, for super great natural light. * Sometimes I'll use white or black foamcore board to reflect or absorb light. * I've just recently upgraded to my hubby's camera: the Nikon D7100. Before that, I used a Nikon D300S. * I'm ALWAYS drinking an apricot LaCroix during shoots (whether they're pictured or not) b/c they're my favvvv. 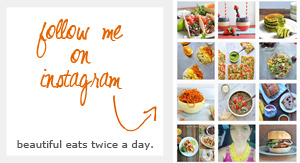 be sure to follow me on IG. and have a great rest of your week!!!! 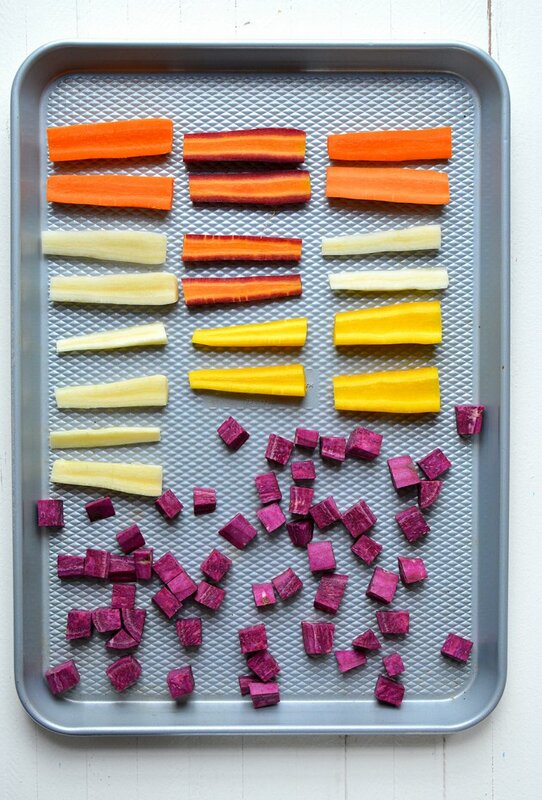 On a parchment lined (or sprayed) cookie sheet, lay out the carrots and sweet potato in a single layer. Brush on olive oil, then sprinkle with sea salt. Roast (bake) for 20 minutes. Then remove from oven. Meanwhile, combine the apple slaw ingredients in a medium bowl: diced apple, red cabbage, Greek yogurt, jalepeno, cherry tomatoes, lime juice, and cumin. Heat up the refried black beans -- either in the microwave or on the stovetop. Either works! 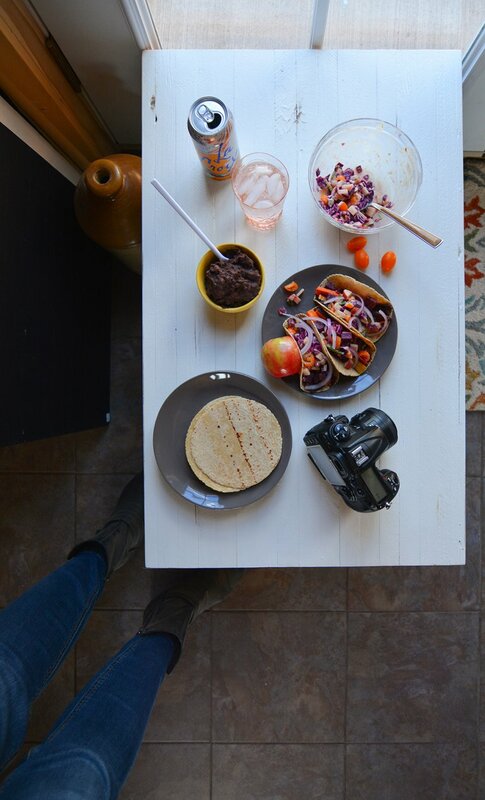 Assemble your tacos: spread a generous dollop of refried black beans into the tortilla. Top with a couple pieces of roasted carrot, a few sweet potato chunks, and a spoonful of the apple slaw.